Chef Phil Scarfone of Vancouver’s Nightingale gets set to put his culinary skills to the test as he competes on the latest installment of Canada’s most prestigious culinary competition, Top Chef Canada premiering on April 1 at 7 p.m. PT/ 10 p.m. ET on Food Network Canada. The seventh season of the high-pressure cooking show welcomes 11 professional chefs from across the country to compete for the coveted title of Canada’s Top Chef and the grand prize of $100,000. Ontario-born Scarfone began his culinary journey at the iconic Fairmont Banff Springs hotel, before heading abroad to stage at Heston Blumenthal’s Michelin-starred, Fat Duck in the United Kingdom. Several formative months at Read’s Hotel on the Spanish island of Mallorca, with Chef Marc Fosh inspired him with daily trips to the local market and creation of bright, fresh dishes at the hotel’s Michelin-starred, Relais & Châteaux restaurant. 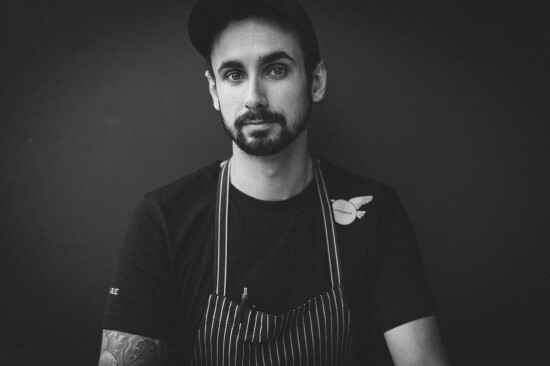 Scarfone joined the Hawksworth Restaurant team in April of 2011, after gaining experience at Vancouver’s db Bistro Moderne and Oru Restaurant. Spending his first months as Chef de Partie with the restaurant group, Scarfone played a significant role in the creation of recipes and the opening of Vancouver’s award-winning, Hawksworth Restaurant in June of 2011. 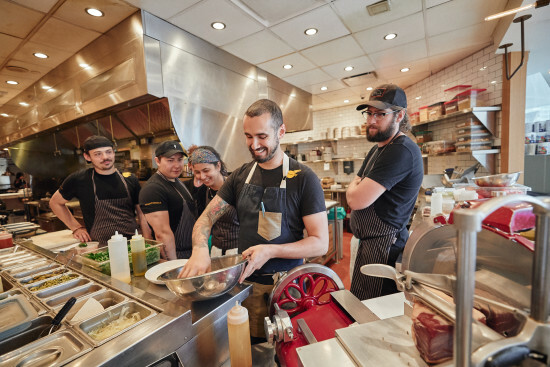 Five years later, Scarfone was tapped to become the Head Chef of Nightingale, delivering an eclectic mix of compelling flavour profiles and locally-sourced ingredients through an extensive menu of seasonal vegetable dishes, fresh salads, pizzas, pastas, crudo and creative proteins. With a wealth of culinary expertise and experience under his belt, Scarfone is now ready to take on an impressive lineup of Canadian chefs and showcase his skill and creativity in a variety of quickfire and elimination challenges. Competing chefs will be judged by a panel of Canada’s most refined palates, led by returning head judge, Mark McEwan. Each week, Mark will be joined by host Eden Grinshpan (Eden Eats, Chopped Canada) and resident judges: food blogger, Mijune Pak; acclaimed culinary journalist, Chris Nuttall-Smith and renowned restaurateur, Janet Zuccarini. Throughout the season, the judging panel is joined by a series of renowned culinary masters and experts from here at home and abroad, each weighing in on the search for Canada’s next Top Chef. Tune into the Food Network Canada’s #TopChefCanada at 7:00 p.m. Pacific and 10:00 p.m. Eastern time starting April 1 to cheer on Chef Scarfone. Full episodes will also be available online after broadcast at foodnetwork.ca/topchefcanada. To experience Chef Scarfone in action, book one of Nightingale’s three chef tables and watch him work the pass. To make a reservation, please call 1.604.695.9500.